In April of this year, the Chicago Board Options Exchange (CBOE) celebrated the 25th anniversary of its creation, the Volatility Index (VIX). Innovative in its time, the VIX has birthed one of the more unusual groups of financial instruments in a market already saturated with complex derivatives. Namely, through VIX-based derivatives, investors can trade in market volatility. The VIX measures the expected level of change on the S&P 500 Index over the following 30 days, based on real-time calculations of the number of options to buy (‘call options’) versus the number of options to sell (‘put options’) on the index. In essence, the VIX measures the extent to which investors expect stock prices to change in the coming month, and as such has been commonly dubbed the ‘fear gauge’ for its perceived status as an indicator of market sentiment. In normal equity market investments, investors make ‘long’ bets (buying a stock assuming its value will increase) or ‘short’ bets (taking out a form of insurance on a stock assuming its value will decrease). In both of those cases, the investor takes a gamble on the direction the price changes in, either up or down. Their profits and losses are a direct reflection of the actual price of the product relative to when they made the investment. Volatility trading, however, bets not on the price of the product itself, but on the magnitude of the change in the price. Like regular stocks, traders can bet on whether or not volatility will go up or down through the purchase of corresponding derivatives. In 2004, CBOE introduced exchange-traded products (ETPs) on the VIX, beginning with futures. For the first few years of their existence, VIX futures did not see much action, with only very modest gains in daily volume year on year. In 2010, however, the futures started seeing explosive growth. The average daily volume in 2010 stood at 17,469, whereas in the first quarter of 2018 it had risen to over 360,000, with a dramatic spike in February, when daily volumes reached over four million, contributing to this jump (see Fig 1). Since 2006, when they were introduced, VIX options have become even more popular: daily volumes in 2006 averaged 23,500, and have since grown to over 1.06 million in the first quarter of 2018. Trading volatility can be a way for investors to manage risk and protect their portfolio from changes in market prices. If stock prices dropped suddenly, traders can lose money on regular stocks, but may gain some back through volatility derivatives that give returns when volatility is high. Furthermore, the VIX has a strong inverse correlation to the S&P 500 Index, meaning broad market decline can increase returns on long VIX positions. In the bull market that formed in the aftermath of the financial crisis, steadily rising stocks meant low volatility. As a result, inverse derivatives that bet against volatility being high, such as XIV and SVXY, became even more lucrative than long exposure. With the S&P 500 seeing a slowdown in its previously steady climb, inverse volatility ETPs are no longer the safe bet they have been in recent years. Rising interest rates and other market factors have curbed stock prices, increasing volatility and dampening returns for VIX short sellers. When volatility is low, changes in the S&P 500 can have disproportionate effects on the VIX, meaning relatively small price fluctuations in the equity market can cause dramatic spikes in the volatility index. This is due to the relative confidence in steady prices that investors have during calm market conditions. Rockier prices, however, can shake investor confidence, and the resulting effect on the VIX can be higher than the actual price changes on the S&P 500. This dynamic was especially consequential on February 5, when the S&P 500 saw a sudden drop of 114 points. While this only represented a 4.1 percent decrease in the index, it caused the VIX to more than double in what was its biggest ever spike, ravaging the short bets (see Fig 2). This led to the inverse XIV ETP being discontinued. Despite how lucrative VIX ETPs can be, and how effective they can be at managing risk, they differ from regular stocks in that they are purely trading instruments, not long-term investments. Volatility in capital markets cannot be accurately predicted over long periods of time, though it can, to an extent, be predicted in the short term through statistical models. Future market conditions will not be the same as they have been in the recent past. The booming bull market that has been producing somewhat predictable VIX levels has a limited lifespan. 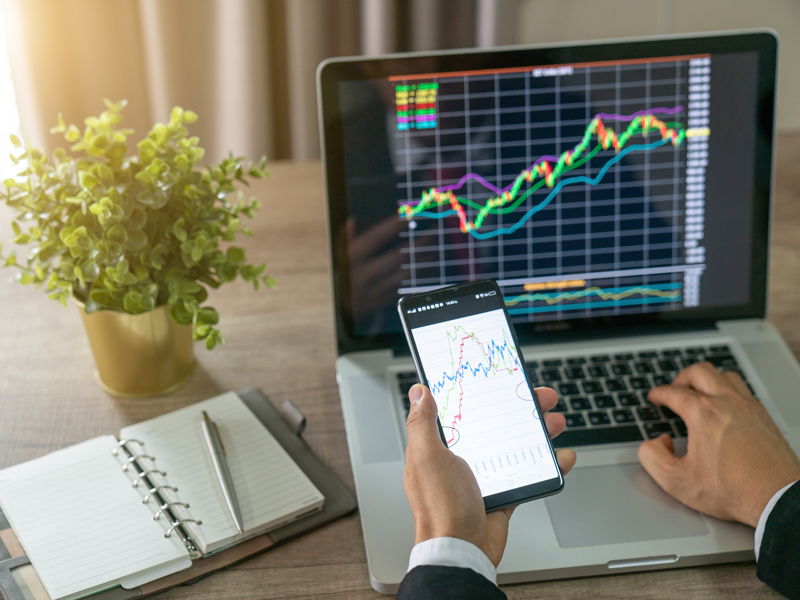 Rising interest rates may ruin the prospects for inverse volatility derivatives, but could also make long positions more attractive as volatility increases.